THAT GUARANTEE NOTICABLE, HEAD TURNING ARM GROWTH IN JUST 4 WEEKS? GUARANTEED SHIRT BUSTING ARM GROWTH AND MUSCLE TONE IN JUST 4 WEEKS! ARE YOU DOING 100S OF CURLS BUT STILL STRUGGLING TO SEE FAST, NOTICABLE ARM GROWTH THAT FILLS YOUR SHIRT AND THAT PEOPLE ACTUALLY NOTICE? If so, my famous Arm Specialization Program is exactly what you need, giving you 15 research proven and highly advanced workouts that have been tested on hundreds of clients, including Hollywood Movie Stars, Pro Bodybuilders, Physique Competitors and Models. 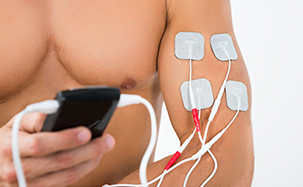 Unlike most arm exercises or workouts, this program uses scientifically tested Electromyography (EMG) data to select the world’s best exercises that maximize Bicep and Tricep activation and muscle fiber recruitment. These exercises are then combined with advanced training techniques to target the 3 scientifically proven mechanisms of hypertrophy to guarantee noticeable gains in just 4 weeks! Along with my step-by-step guide including photos, tempo, sets, reps, rest periods and full descriptions of every single exercise, I also show you how to apply this into a weekly routine to maximize your results. But, that’s not even the best part; not only are these the best possible workouts for arm growth, they also incorporate large metabolic exercises that can boost your metabolism, anabolic hormones and help you shred stubborn fat. I’ve spent years researching and testing the very best muscle activation techniques based on advanced scientific testing in my lab looking at how to optimize the muscle from every angle. This guarantees to maximize each and every exercise utilizing unique tips and techniques you will not find anywhere else online, with step-by-step guides and easy to follow photos and videos. The worst part of advanced workouts is they are often hard to follow and confusing. 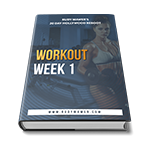 Although I’ve utilized extremely advanced workouts, I’ve made them user-friendly for total beginners, breaking down every aspect of the workout programs. 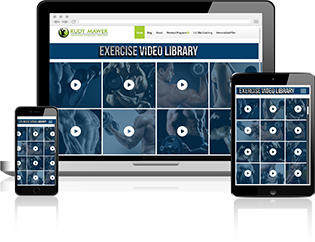 I’ve even provided easy-to-follow videos, exercise templates you can print off and take to the gym and step-by-step photo guides! To maximize arm recruitment you have to fully engage the arm muscles and remove the input of the lower back and other supporting muscles which often take over. 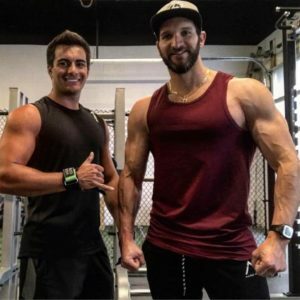 Because this is a KEY mistake everyone makes, I breakdown every single exercise in a short video to teach you how to become a master trainer and maximize your arm gains! To develop the best possible set of arms you must overload all the different muscle groups from different angles, recruit both type 1 and type 2 muscle fibers and work through different parts of the strength curve. For this reason I utilize different exercises, advanced workout techniques and multiple pieces of equipment to maximize your progress and keep each and every workout fun! Although this is an online plan, you are definitely not alone! 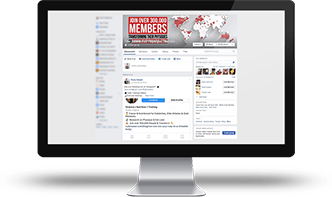 By purchasing this program, you will also get exclusive access to our private FB group which has over 40,000 members on the same plan and mission as you, providing support, motivation and accountability every day! Best of all, I answer every single question, giving you free access to one of the world’s leading experts for all questions you may have! Along with the specific workouts, I’ll also educate you on research proven supplements and healthy muscle building superfoods which will help support your goals! Remember, your diet is key and I’ll make sure you are on track with a full list of carbs, protein and fats you should be consuming. HERE’S WHAT YOU GET ALL AS DIGITAL DOWNLOADS SENT STRAIGHT TO YOUR INBOX! GET ALL THIS FOR A ONE-TIME MONEY BACK GUARANTEED PRICE, WITHOUT ANY HIDDEN COSTS OR RECURRING PAYMENTS! 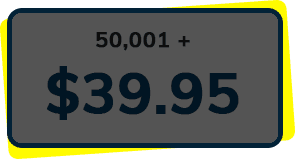 Price is listed in USD / American, this equates to around £10 UK GBP or $16 Canadian / Australian Dollars, you can use your credit/debit card regardless of your location in the world and it will convert it for you. You can also pay via Paypal, the most secure payment system in the world. 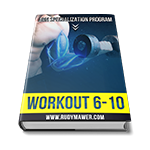 ARM Specialization Plan is provided instantly in downloadable PDF’s / Ebooks (just like a word document). It can be accessed worldwide, regardless of location, including USA, UK, Australia etc. All plans are easily viewable on mobiles, tablets, laptops etc. 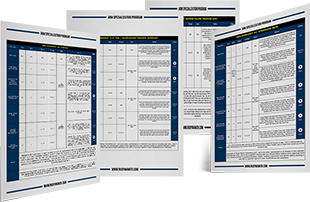 All plans/ebooks can also be printed out very easily, just like a word document. All graphs and studies cited above can be backed proven with scientific literature on request. 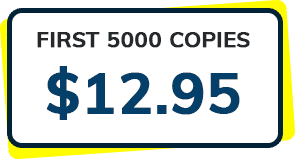 This price is a one-off fee with absolutely no reoccurring payments. You will get access to every ebook above forever. WHO AM I? WHY SHOULD YOU TRUST ME? 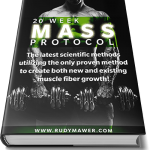 I’m Rudy Mawer – a passionate bodybuilding sport scientist and world renowned prep coach, physique coach and Hollywood celebrity trainer. I’ve spent the last decade dedicated to learning everything about the functions of the human body and how to have it run at its most optimum, which I know apply to provide advanced muscle building techniques a decade ahead of everyone else! 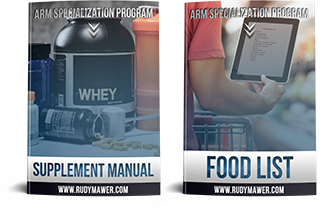 My desire to create the Arm Specialization Program came from training 100s of men and women and then subsequently having 1000s joining my plans whose goals were to maximize their arm growth and definition! 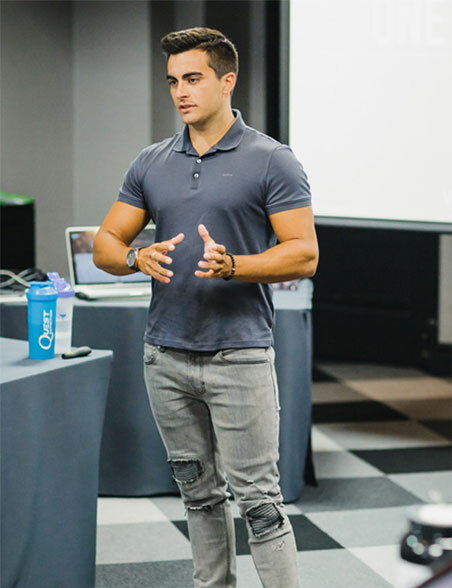 My GOAL was to use my knowledge and experience to design a simple yet highly effective way for people to see noticeable results in a short space of time (just 4 weeks), using the best exercises, best workout routines and the latest scientific techniques that no one else is teaching! My desire to create the Arm Specialization Program came from training 100s of men and women and then subsequently having 1000s joining my plans who’s goals were to maximize their arm growth and definition! My GOAL was to use my knowledge and experience to design a simple yet highly effective way for people to see noticeable results in a short space of time (just 4 weeks), using the best exercises, best workout routines and the latest scientific techniques that no one else is teaching! The workouts are based mainly around a standard gym; however, lots of people use these workouts at home as well. 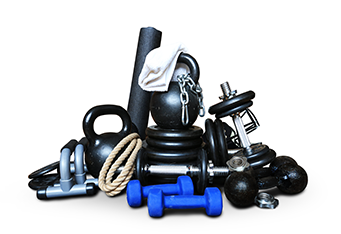 The main equipment is your bodyweight, barbells and dumbbells so they are very easy to perform at home or in small gyms/studios. The program does use machines and cables; however, these make up less than half of the exercises and can obviously be swapped if you have limited equipment. Between 20 and 60 minutes. They are short, intense and to the point. 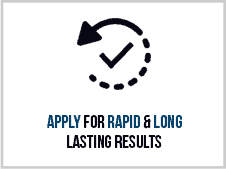 They give you maximal results without wasting a second longer than needed. Again, they are easy to tailor so if you can just do 20-30 minutes on occasions, they will still work very well and be far superior to any typical 20-30 minute workout you are doing. I have an injury, can I still do this? It really depends: if you can still do basic movements such as curls and tricep extensions then yes, you should be fine. If you are very limited and can’t do bicep curls then likely not. It’s best to speak to your PT or medical doctor; you can also contact me directly on the site or the FB page and I’ll offer my opinion based on your specific issues or condition/injury. Remember, everything can be tailored/tweaked – if you need to skip some exercises and workouts, that’s 100% fine – you will still get great results. Yes, it may not be ‘optimal’, but it’s going to be far better than your current regime, I guarantee it! How many times per week do I need to train? To see great results I recommend a minimum of twice per week; this is a 2 hour commitment out of a 160 hour week! If you can’t commit that much time, then your arm/fitness goal may not be that high a priority! Remember, this isn’t only going to help your arms, but will also help develop your shoulders, core, posture, fitness, general health and total physique! Although we are focusing on the arms, the compound movements have been shown to aid in your six pack/core, fat loss, fitness, general health, biomechanical health / injury prevention, strength and your overall physique! What about my diet and nutrition plan? 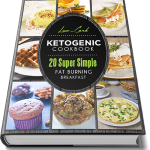 Although this isn’t a diet plan, I do provide guidance on what to eat and what not to eat, along with a FULL food list showing you what carbs, protein and fats to eat. I also include a complete supplement manual. 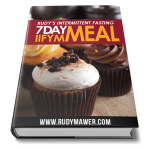 If you do want to combine this with full 7 day meal plans tailored to your own preferences and personal metabolism, I offer this as part of my other plans for as low as $9! Is this really hard and only for advanced people - I am a total beginner or intermediate, can I use it? All my plans are developed with advanced and elite techniques you won’t find online; this is why people see far superior results with my programs compared to anyone else’s online! Thousands of total beginners have utilized my plans with great success! Why? Well, I’ve got 10 years of experience working with 100s of personal clients, allowing me to make it very easy to understand and tailor to YOU, as an individual. 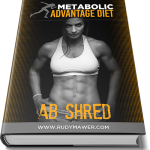 I also provide full bullet point and picture guides, along with videos and full explanations so you know exactly what to do and can become a physique expert in no time! Finally, it’s important to remember you also get personal help and support from me in the private FB group along with help from 40,000 other previous and current members just like you! 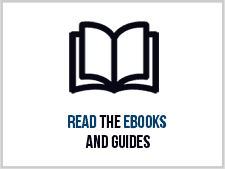 All eBooks, guides and plans are delivered straight after payment so you will get instant access within 5 minutes of paying. You will also be emailed links you can save for future use and download on multiple devices such as your phone, tablet, laptop etc. All the workouts can also be printed, if you want to take the workout tables to the gym with you! Yes, it is 100% online in digital form, people from around the world can access the files. We have members from every corner of the earth, including the UK, Ireland, Europe, Australia, New Zealand, Canada, USA, etc. I’m terrible with technology, can I do this? 100% yes, it’s very very simple, you click 1 button and download the files. If you’ve had the skills to make it to this page, you will be fine ! I also have a full support team to give you step-by-step guidance and help if needed. What if I try it and it doesn’t work after 4 weeks? Simply email us then we will shoot you a refund form to complete online. Don’t worry, we can stay friends. How do I access the private FB group? You will be emailed a link to join upon completing your purchase! Is the price in US Dollars? How much is it for me? To get an accurate estimate just google the price in dollars then list your currency. To give you an idea, $13 US Dollars is around 11 UK pounds or 16 Canadian or Australian Dollars. 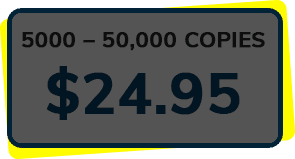 Your bank or PayPal will convert this for you when you buy at no extra cost. Payment can be taken via credit/debit card or via PayPal. We do not handle the payment directly, we use PayPal and Stripe, two of the world’s leading payment gateways with millions of users. Our site is also SSL secured, backing your purchase and details to avoid fraud. What If I need help? Can I contact you? Yes, you can get full personal access to me on the private FB group and contact my support team for general download, payment, tech issues etc. We always reply quickly, normally within a few hours. 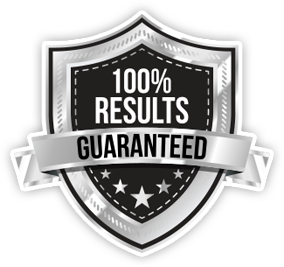 *Individual Results may vary, and testimonials are not claimed to represent typical results. All testimonials are real men and/or women, and may not reflect the typical purchaser’s experience, and are not intended to represent or guarantee that everyone will achieve the same or similar results. Each individual has unique experiences, exercise habits, eating habits, and applies the information in a different way. Thus, the experiences that we share from other people may not reflect the typical user’s experience. However, these results are meant as a showcase of what the best, most motivated users have achieved. In addition, you assume certain risks inherent in exercise and nutrition programs by using this system. You should not begin the program if you have a physical condition that makes intense exercise dangerous. In addition, Our Programs require you to follow an eating plan and at times restrict the amount of calories you consume. You should not begin this eating plan if you have physical or psychological issues which make fat loss dangerous. 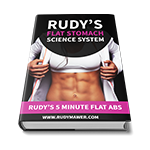 RudyMawer.com / Rudy Mawer’s Programs are an educational service that provides general health information. Rudy is not a doctor, and his advice is not a substitute for medical advice. Please consult a physician before beginning any exercise or diet program.